Tony's Talking Pictures Blog: New in Theaters October 6, 2017 "Blade Runner 2049"
New in Theaters October 6, 2017 "Blade Runner 2049"
In the sequel to the cult classic, thirty years have passed, and a new blade runner unearths a long-buried secret that has the potential to plunge what's left of society into chaos. 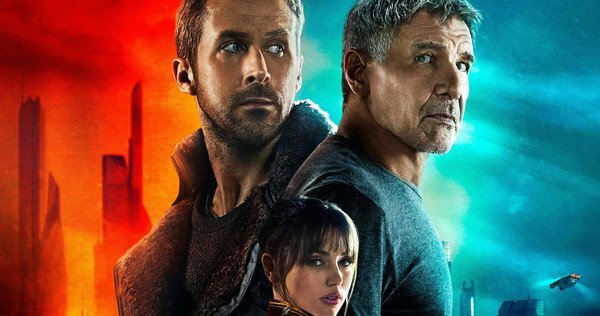 The discovery leads him on a quest to find Rick Deckard, a former LAPD blade runner who has been missing for 30 years. “Blade Runner 2049” is a stunningly shot, cinematic feast. The style of the photography remind the viewer of the original's style and symmetry. The film, like its predecessor, is slow-paced and deliberate. But “Blade Runner 2049” falls short as the story simply does not know what to do with its characters. The script meanders and sputters never really coming to the boil fans of the original are expecting. Instead, the film runs out of gas and coasts to a stop, leaving the audience with the feeling something's left undone. In the end “Blade Runner 2049” is a wonderful example of cinematic eye-candy with little substance backing it up. It gets a C and is rated R.
If you haven't seen the original "Blade Runner" check it out at dvd.netflix.com along with thousands of other great titles!